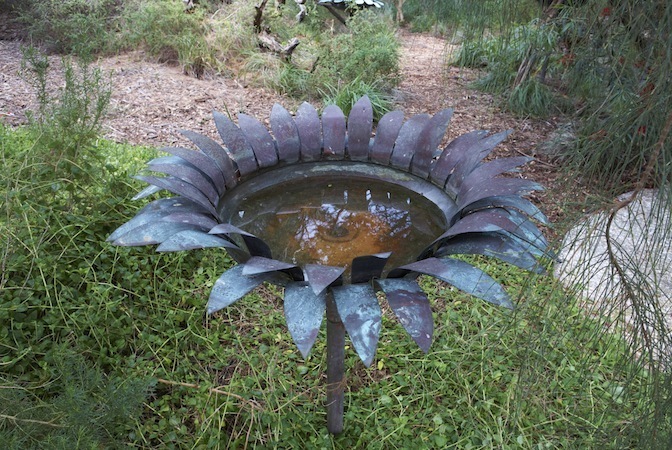 The range of flower birdbaths are made by a sculptor from Victoria’s western district. 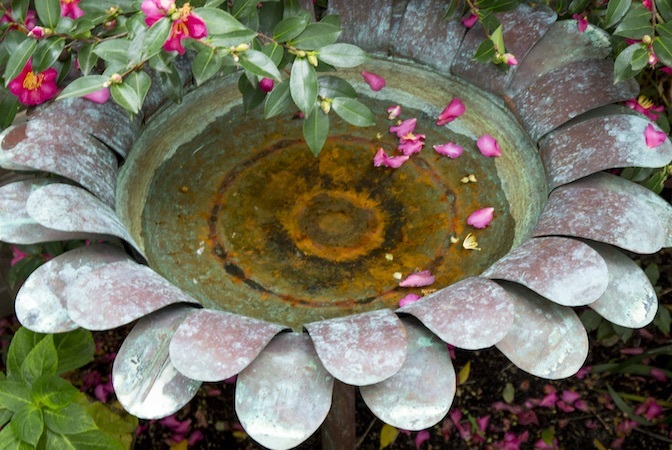 Each whimsical and ornate birdbath is individually crafted by reworking the copper from old hot water units. 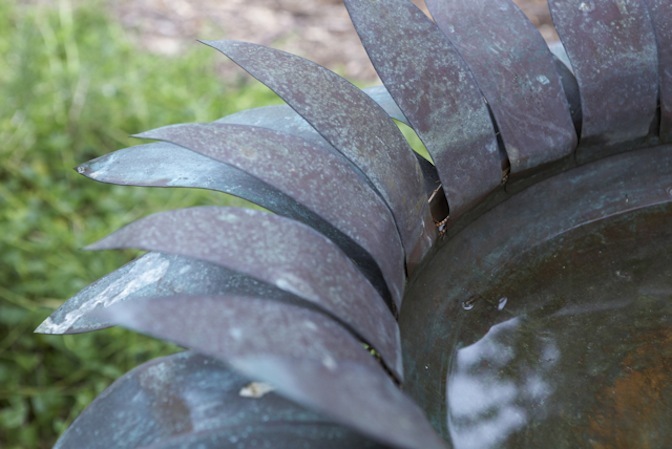 Therefore, each is unique and may vary slightly from the photograph. 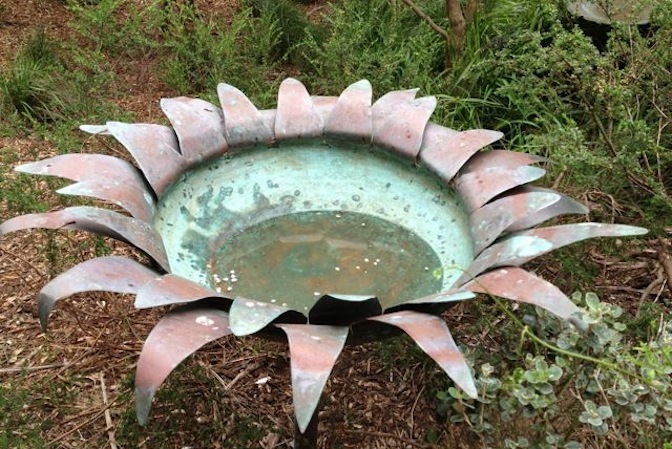 The bowl and outer ring of petals have already been aged with a verdigris finish. 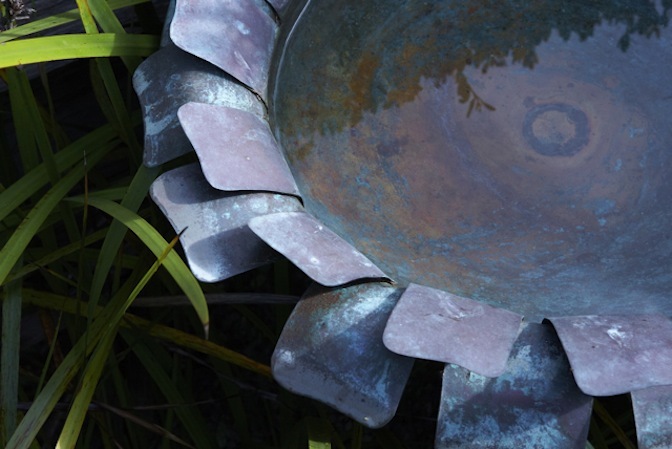 Each birdbath is supported by a detachable copper stalk. 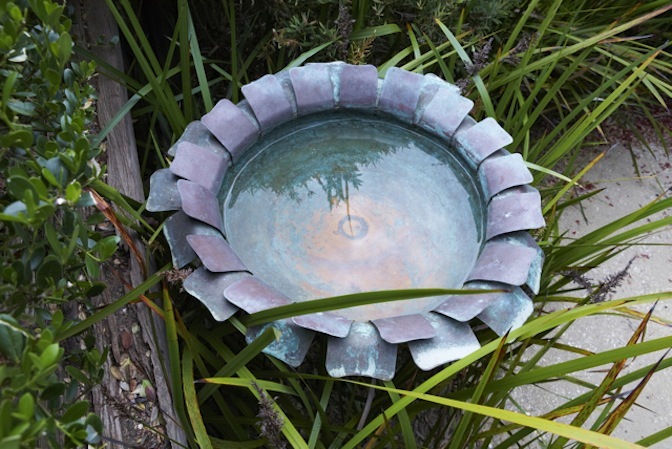 The birdbaths can be viewed and selected at Sorrento or Toorak, or delivery can be arranged. Freight, if required, can be arranged at an additional charge.